The group - whose shares slumped 14% on Monday - has called in KPMG to help it secure waivers to its financial covenants as it looks at "additional sources of financing". Details of the appointment come amid mounting speculation that it may yet breach the terms of its banking agreements. 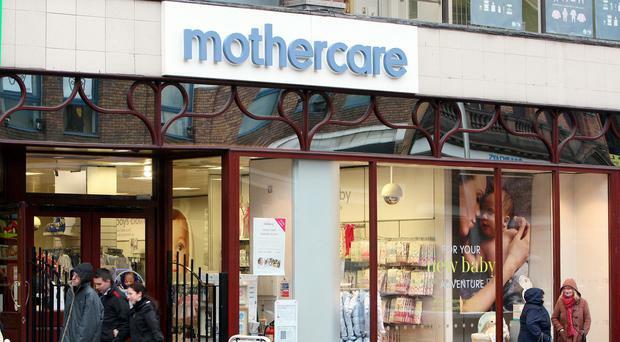 Mothercare's lenders include HSBC and Barclays. Mothercare has five locations in Northern Ireland - Lisburn, Newtownabbey, Londonderry, Bangor and Newry. It will mark another black week for the high street, following the collapse of Toys R Us and Maplin last month and a host of restaurant chains undergoing painful restructurings. Mothercare alerted earlier this month that it expects underlying pre-tax profits to come in at the lower end of the £1m to £5m range it had previously guided.